Every so often I get asked about how and why I base figures the way I do (often in posts unrelated to basing) and I, wanting to be the helpful sort, have to either type it all out again… or go looking for those odd posts to copy and paste an answer. 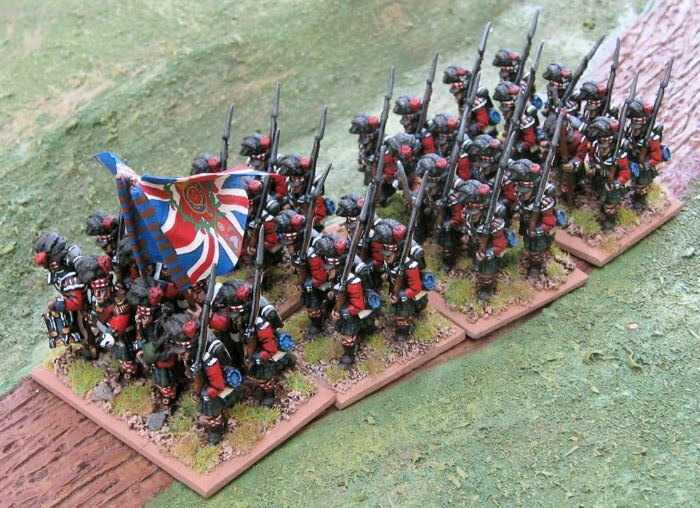 So I thought I’d do a post about all my current basing conventions for all of those who always wondered (but were afraid to ask) and also so in the future I can like back to it whenever someone asks a question about it. This has always been a great (mostly internal) debate for me. I have roughly decided that anything colonial and after is going to be based singly (mostly….) and anything before that… well… Figures to be used for larger battles will be based according to my DBA/HOTT standard (see below) and others (for skirmishing) will be based singly. Everything is 60mm wide as per the suggested frontages in the DBA/HOTT rules. 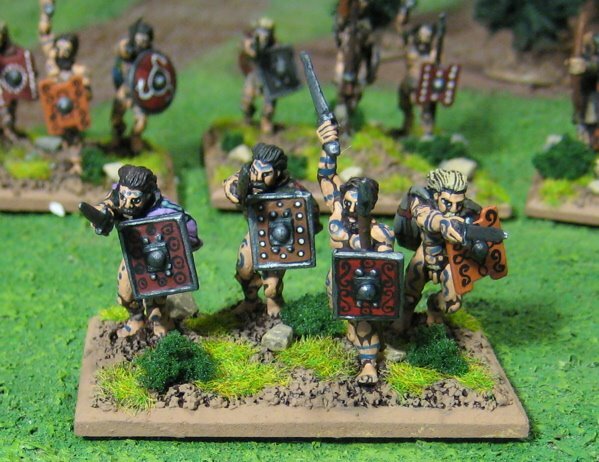 8 Roman Legionaries (4Bd). 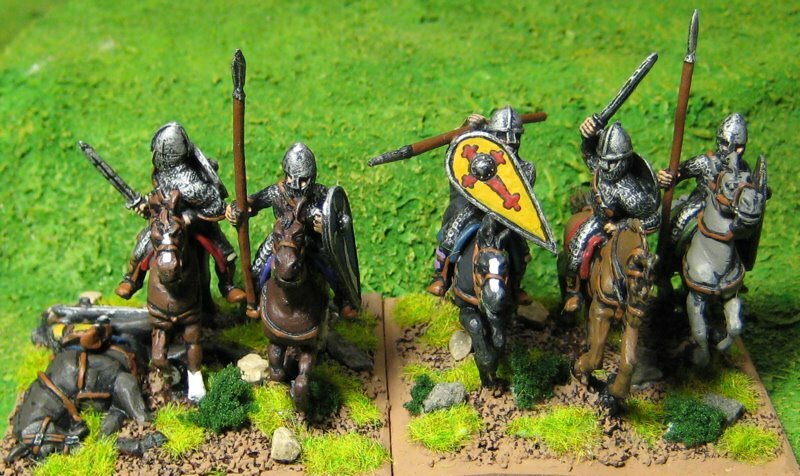 Usually I base Blade at 6/stand but in the case of these Legionaries I did eight - they are older Citadel miniatures ("True 25mm") so they can be crammed on. 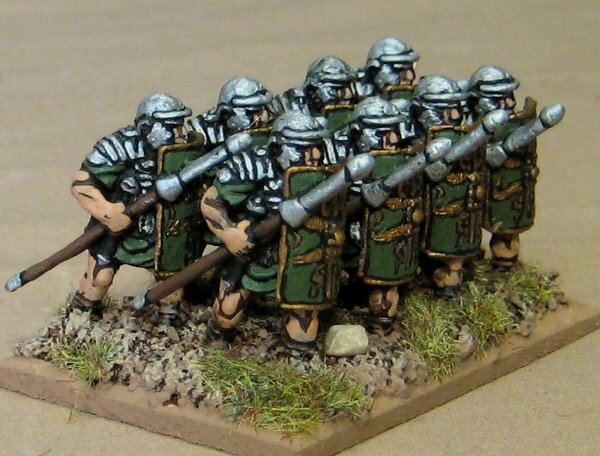 NOt sure I'd be able to with more modern Roman Legionnaires. Anglo-Saxon/Danish Spear (4Sp) done with 6 per stand. 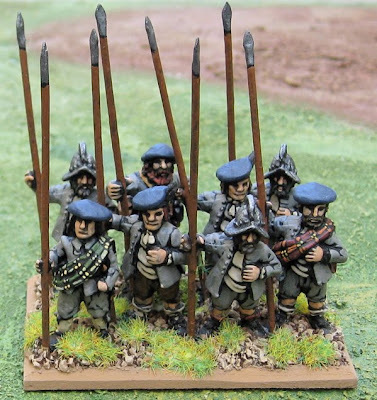 Napoleonic Highlanders (classified as 4Ms in DBA-Hx) I have done with 8 per base on 60x40mm bases. Auxilia, and other Bow, Warband, and blade which would normally have 3 figures, I use 4... sometimes 5. 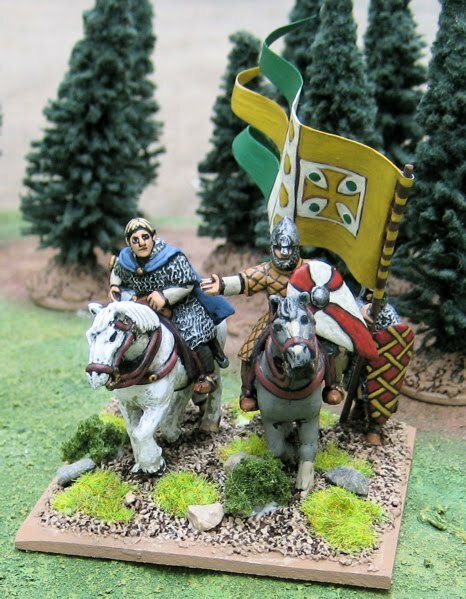 Psiloi and similar skirmishers are always done with 3 per base. 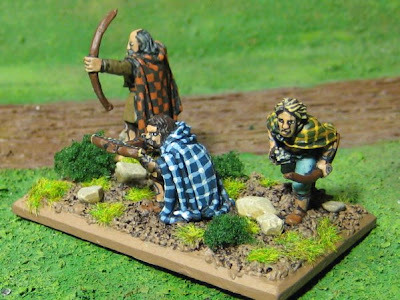 Picts (2Ps) done with 3 figures. Anglo-Saxon Psiloi with 3 figures per 60x40mm base. The only foot I do on 60mm deep bases are hordes (and some warband). 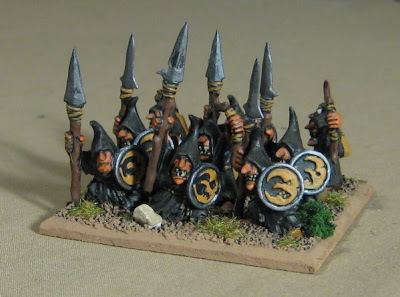 The warband that I am doing with 6+ figures are put on a 60mm deep base - usually orcs. 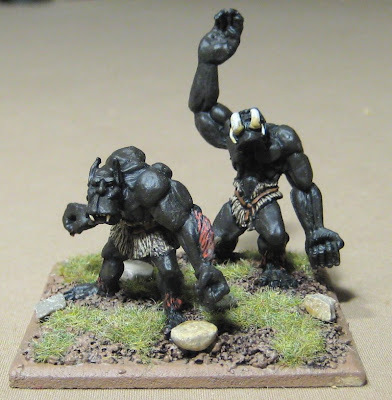 Orc Wolf Riders for Hordes of the Things - sometimes classed as "Riders", sometimes classed as "Beasts".... based on a 60x60mm base. So that's a simplified explanation of how I base stuff for DBA/HOTT. I generally TRY to be somewhat consistent... but there's always exceptions... Hope that helps...?